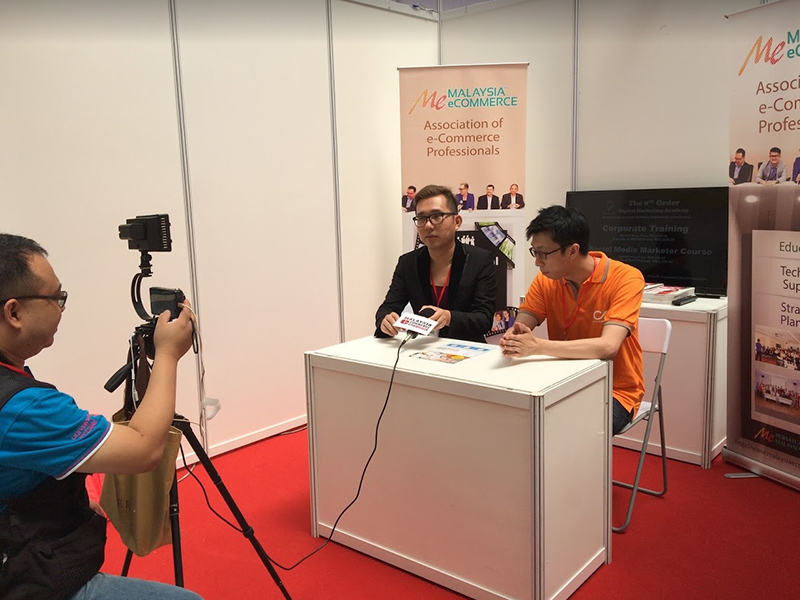 Being interviewed by the event organiser about ICOMM Group and our solution tools. Vast evolution in E-Commerce has inspired us to have our first exhibition in MECC during Nov 2016. 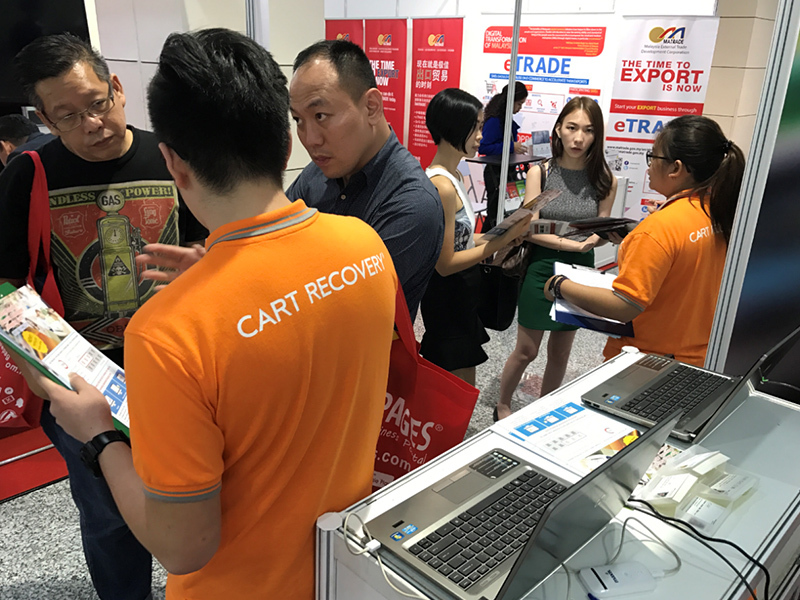 It is a great opportunity for us to introduce a new marketing tool - CART RECOVERY (CR) into Malaysia market. CR is a popular retarget marketing tool in Japan, which being invented by e-Agency. 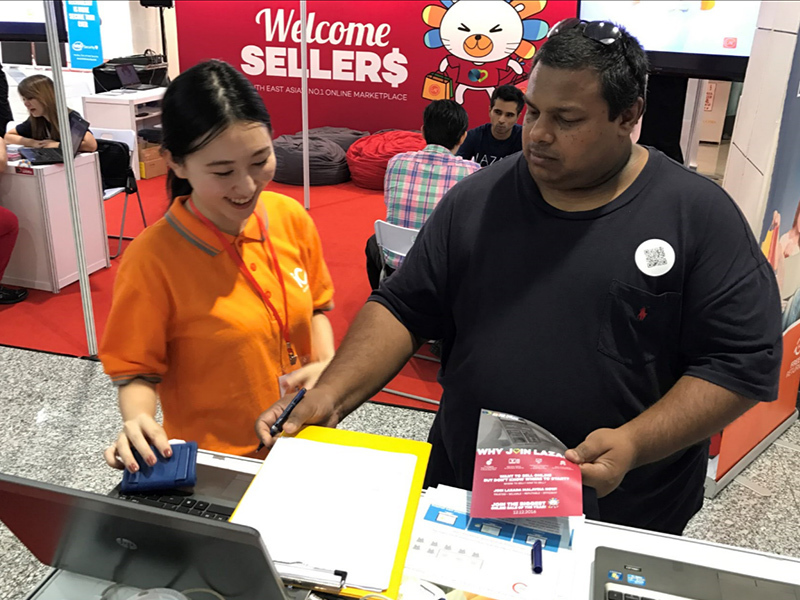 CR is able to trace user who ‘abandoned cart’ and provide real-time data and solutions with the objectives of boosting up client’s sales. 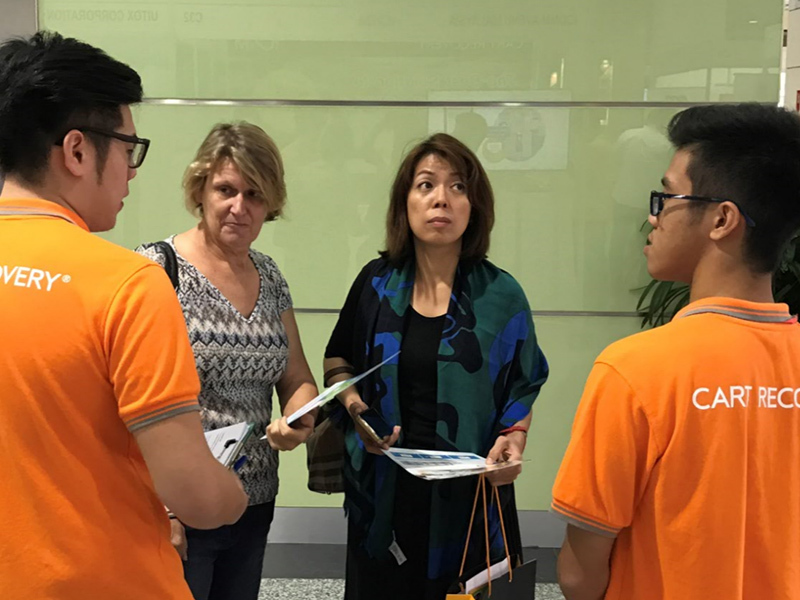 Our staffs never get tired of explaining and introducing CR tools during the exhibition among the crowds during these three days exhibition. Meanwhile, we did not forget to collect our marketing data from the crowds for our R&D solutions team as a reference. As a result, we are always get attached with latest ecommerce technologies and become top solution providers in benefiting our clients.